Manufacturing is getting smart. Companies are increasingly using sensors and wireless technologies to capture data at all stages of a product’s life. These range from material properties and the temperatures and vibrations of equipment to the logistics of supply chains and customer details. Truck engines beam back data on speed, fuel consumption and oil temperature to manufacturers and fleet operators. Optical scanners are used to spot defects in printed electronics circuits1. Robotic welders are making manufacturing increasingly smart. 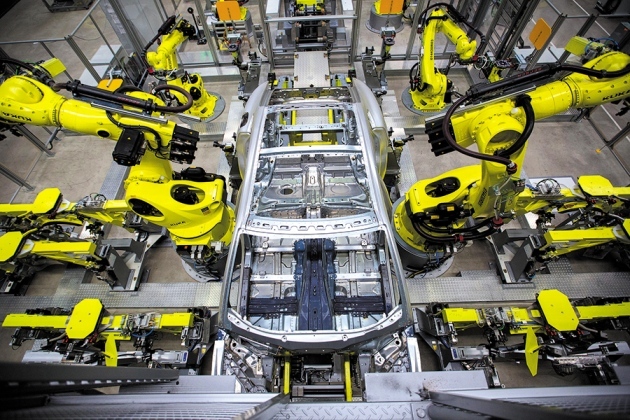 Robotic arms work on a Porsche body frame. 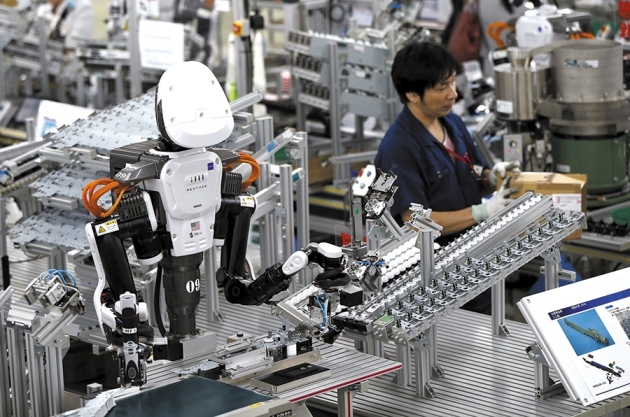 Humans and robots work alongside each other at Glory in Kazo, Japan, a maker of automatic charge dispensers.